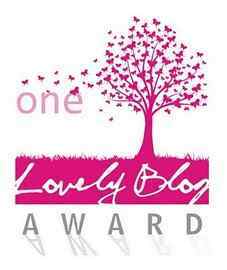 Thank you, Linden Barrick, for nominating me for the One Lovely Blog Award. Please visit Linden’s blog, Hello God. Welcome to My Classroom at http://www.lindenbarrick.wordpress.com I was very surprised and appreciative that you recognized my blog. According to the rules of this award, I’m supposed to 1) recognize the one who nominated me (see above), 2) tell seven things about myself, and 3) nominate fifteen other bloggers. 1. I’ve finally decided what I want to be when I grow up. I want to be—I am—a writer. So’s that mean I’m grown up now? 2. I’ve been married to a great guy who deserves an award for putting up with me for 48 years. 3. I have three great sons, an awesome daughter-in-law, six terrific grandchildren, and seven (count ’em 7) beautiful great-grandchildren. Oh, and two “in the oven.” So, that’s a baseball team, right? 4. I have a new favorite place–Maggie Valley, NC, at least until a newer favorite place comes along. 5. I am retired from my last public job after 22 years there. Who says retirement’s not what it’s cracked up to be? I’m so lovin’ it! 6. I like to make jewelry… if I can ever find the time. 7. I cannot imagine what life would be like without Jesus. He picks me up, He holds me up, He loves me, even when I’m not lovable. 1. Ada Brownell: Ink from an Earthen Vessel: Stick-to-Your Soul Encouragement, http://inkfromanearthenvessel.blogspot.com/ Ada is a fellow Christian writer and awesome encourager. 2. Melissa Jenna: http://MelissaJenna.com Melissa is a sweet, optimistic Christian lady who speaks from her heart. 3. Jennifer Slattery: Jennifer Lives Out Loud, http://jenniferslatterylivesoutloud.com/. Jennifer is one truly loving Christian writer and encourager with huge heart for others. 4. Lori Roeleveld: Deeper With Jesus in Rhode Island, http://loristanleyroeleveld.blogspot.com/ Lori has beautiful devotionals on her blog. 5. Staci Stallings & Naty Matos: Grace & Faith 4U, http://graceandfaith4u.com/ Two wonderful writers who promote Christian fiction and host guest bloggers on their neat website. 6. Laura Hodges Poole: A Word of Encouragement, http://laurahodgespoole.blogspot.com/ Laura is a gracious encourager who’s helped me more than she knows. 7. Patty Wysong: Patterings, http://www.pattywysong.com/ The tagline of her super-cool blog is Finding the Extraordinary God in our Ordinary Lives. A definite must read. 8. Sharon Srock: The Women of Valley View, http://womenofvalleyview.blogspot.com/. This is a wonderful blog about Sharon’s characters in the fictional town of Garfield, Oklahoma she created for her Women of Valley View book series. 9. Anne Baxter Campbell: A Pew Perspective, http://pewperspective.blogspot.com/, In her blog, Anne reviews books, posts devotionals and has guest bloggers. An interesting and inspiring blog. 10. Peg Blann Phifer: Whispers in Purple: http://www.whispersinpurple.com/ Peg’s blog is chock full of books and devotions to God. Very good reading! 11. Margaret Daley: Margaret’s Blog: http://www.margaretdaley.com/margarets-blog/ Margaret posts hero and heroine intervews from books in her unique blog. She is an awesome, inspiring, loving mentor to many Christian authors. 12. Diane LaValle McCaslin: My Life in God’s Garden, http://mylifeingodsgarden.com/ Diane’s musings about her life as a child of God, a “mother of many,” and adoption. What a story! 13. Joy Avery Melville: Journeys to Joy, http://www.journeystojoy.net. This is perhaps the most sweet and encouraging lady I’ve ever met. Once she gets a hold of your name, look out–she will PRAY for you, by name, until your reach your goals. Share her journey on her blog,along with book reviews, workshops and critiques. 14. Terri Porta: Supporting Godly Women, http://supportinggodlywomen.wordpress.com. This is a wonderful, relevant blog for Christian women. 15. Nancy Mehl: Nancy’s Notes, http://www.nancymehl.blogspot.com/., a blog about faith, life and writing. This is a sweet author talks in her 9-21-12 post about her friend, a former Old Amish Order lady, whose given her support and inspiration to write her book, Inescapable, and her soon-to-be released Unbreakable. This entry was posted on Friday, September 28th, 2012 at 1:20 PM and is filed under WRITING/BLOGGING. You can follow any responses to this entry through the RSS 2.0 feed. You can leave a response, or trackback from your own site. What an amazing and surprising endorsement, Pat. Thank you for those kind and encouraging words to my heart. Will be passing on your sweet essence from here. Mighty hugs and more of those Super prayers on your behalf. You are always such a blessing to me, Joy. Thank you. Thanks Patsy! Have a blessed day! And congratulations! Congratulations for being chosen, and that was sweet of you to choose my blog. I’m trying to get to passing this unique award on. I’ve had so many wonderful blog guests and have been a guest on so many blogs and there are many others read. What a difficult job to choose! Blessings to all the winners. Oh, thank you, Ada. I read your blogpost. There really are a lot of great blogs out there, aren’t there! Thank you for the nomination. What a nice surprise!